Northern League Division Two team Blyth Town FC First Team have signed 20-year-old Adam Laidler to join the squad following advice that he was ‘one to watch’. The ex-NUFC academy left back was recommended to manager Mick Connor, he said, by BTFCFT coach Doug Thorburn (an ex-NUFC academy coach) and manager of Division One team Morpeth Town, Dave Malone. Mick Connor said: “For a young player to be recommended to me by two people I respect was a no-brainer. At his first training session, I knew he would be a great fit within the squad. Previously playing for Division One team West Allotment, Laidler brings a wealth of experience in the Northern League and believes he will bring 100% commitment to the squad in helping reach the clubs ambition of promotion. He said: “I want to achieve success in everything I do and for every club I play for, and it is an exciting time to be at Blyth Town FC First Team right now. 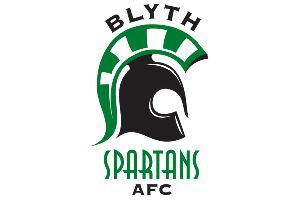 Blyth Town FC First Team plays its next home game against Easington Colliery on Saturday December 10, kick-off at 3pm, before heading to Heaton Stannington on December 14.